On Oct. 6, 1968, The Rev. Troy Perry conducted the first Metropolitan Community Church worship service in Southern California. Since that day, MCC has grown into a global movement proclaiming the Good News of God’s love for all people. Today, as self-aware and self-affirming Christians, we reclaim the fullness of our humanity, including our spirituality. We find great truths in the religious tradition, and we find that our encounter with God is transformational and healing. Gentle Shepherd is proud to be a Metropolitan Community Church. Join us Sunday afternoon 12:30 p.m. to renew your spirit. We meet at First Congregational United Church of Christ at 12:30 p.m. for the interfaith service. 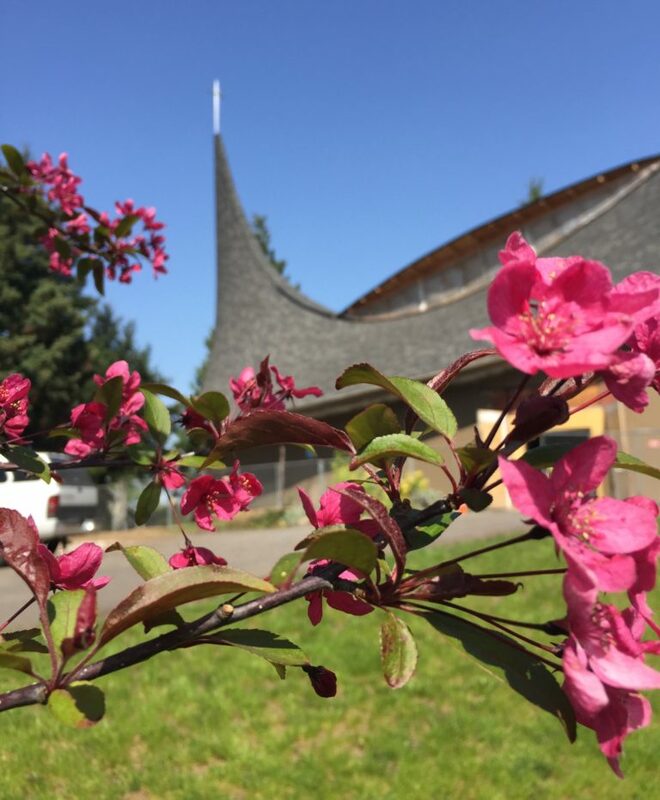 The church's location is 1220 NE 68th St. Vancouver, WA 98665. Sunday, Sept. 23: We will join with Martha's Pantry and our First Congregational partners at 4 p.m. for our open house and re-dedication in the new building. This will be a celebration of both our partnership and the joy of a new beginning! Music, food and refreshments will be provided. We will hold an Interfaith service with Communion at 12:30 p.m. Please note: Martha's Pantry remains closed at this time until we have finished relocating to our new home.